In religious imagery, Saint Anthony of Padua is especially beloved; apart from the Holy Family, he is the probably the only saint depicted with the Christ Child and in a particularly tender way: he is often shown holding a book (presumably the Bible) in one hand and the Child Jesus in his other hand while stalks of white lilies (representing purity, innocence and integrity) are present in the foreground. 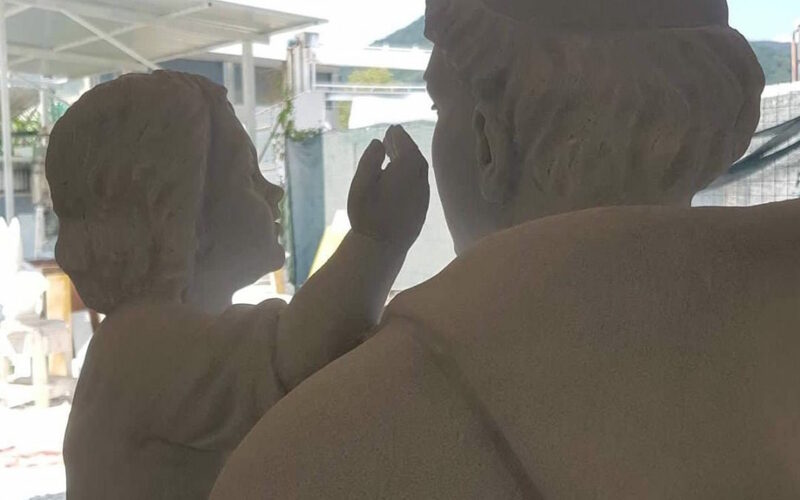 But what is noticeable in these depictions is the fact the Child Jesus tenderly puts his hand on the saint’s face, as if to simultaneously embrace him and bless him. It is a picture that evokes a child’s love toward his parent and the parent’s love toward his child. As a matter of fact, statues have depicted this scene ever since the 17th century. But it is no mere pious representation: it really happened in the saint’s lifetime. One night the Divine Child visited Anthony, kissed him and told him that He loved him. Anthony, in that visitation, was entrusted with the Child Jesus and the lilies that are always depicted in religious art represents that trust and divine favor. It is no wonder that such a representation is so loved; it expresses the want of the human heart. 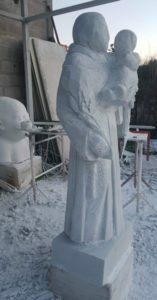 Mazzolini Artcraft and our partner Art Studio Demetz of Italy recently completed an original marble statue of St. Anthony for a church in New York. 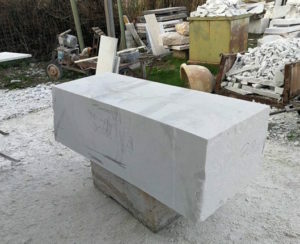 Demetz obtains marble from the quarries of Tuscany, one of which was used by Michelangelo. This type of marble is practically impervious to the elements. The carving tools used today have not changed much from Michelangelo’s time. 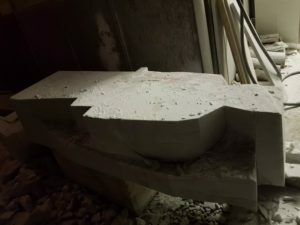 First the rough stone is hammered with a pitching hammer, then sculpted with special pointing tools and files. 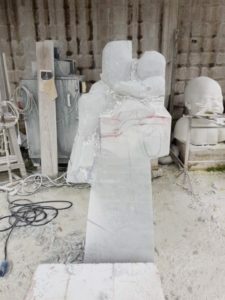 Skilled marble artists are able to achieve astonishing detail from the hard, brittle stone. The block from which the statue was carved. A rough outline is cut. 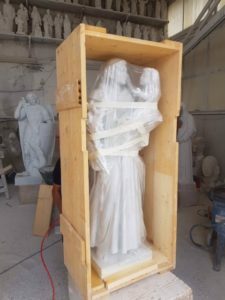 The finished statue is crated for shipping.